By Caz | November 9, 2018 | This post may contain affiliate links, which means we may receive a small commission, at no cost to you, if you make a purchase through a link. Read our Disclosure. Alright it’s time to get serious. Australia is a deadly country. 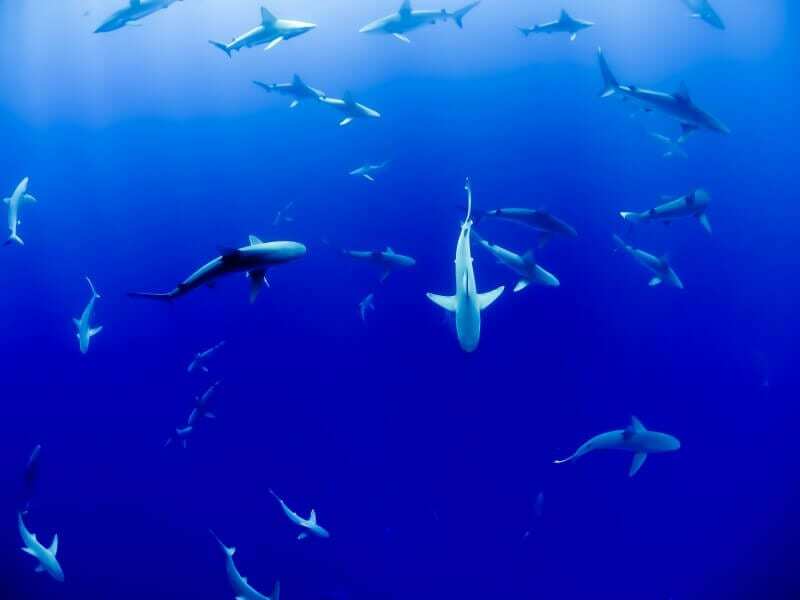 We have more deadly snakes than any other country, the largest crocodiles in the world, box jelly fish that will kill you in eight minutes, killer hairy spiders, Irukandji jellyfish so small you can’t see them, and extremely deadly cone fish and stonefish you’ve never heard of, and of course, bull sharks and great white sharks! How does one lose a Prime Minister? Only a country swarming with insane predators can do that. I don’t know how Craig and I have survived for over 40 years without even one snake or spider bite. There was that one time when my best friend was startled awake at 2:30am by the massive, furry, icky huntsman spider falling off the roof and onto her face, but even she survived that. There was also the one time I stood up and flushed our camp toilet in our remote pearling camp in the middle of the Kimberly and saw a bright green tree frog swimming around, knowing that somewhere nearby was that python that liked to call our cabins home. Low and behold the frog did not jump up and we never saw the python. Although we saw plenty of snakes slithering across the paths as we walked around at night. 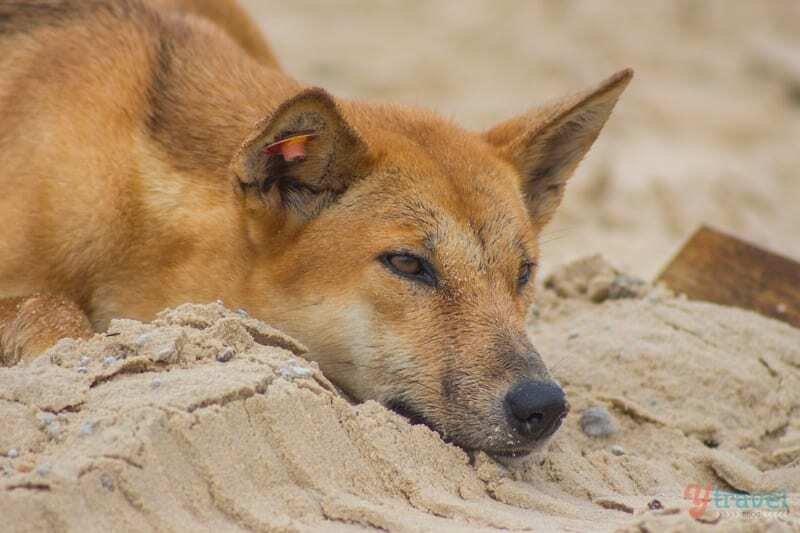 Dingoes howled and crept around somewhere off in the shadows behind the baobab trees. And those pesky crocs were always waiting on the other side of the boats as we got in each morning hoping one of us would stray from the comforting group and become his breakfast. 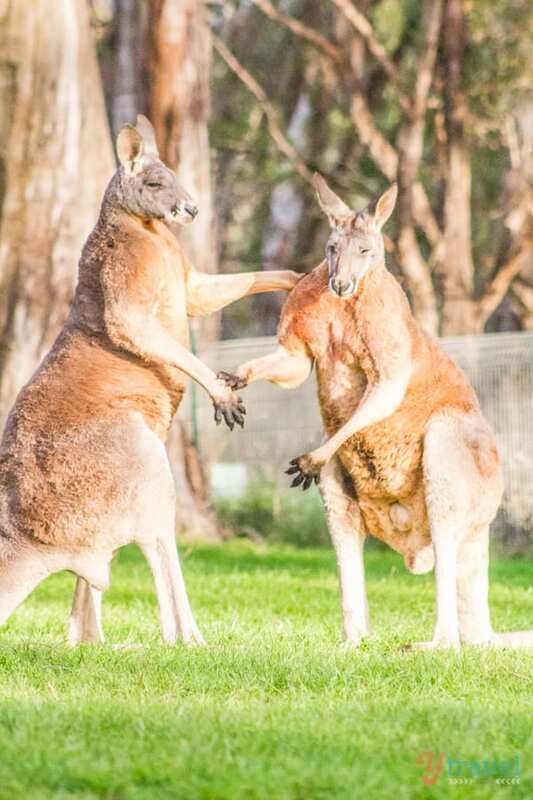 Even our precious kangaroos and koalas can give you a great old fight. Yes. 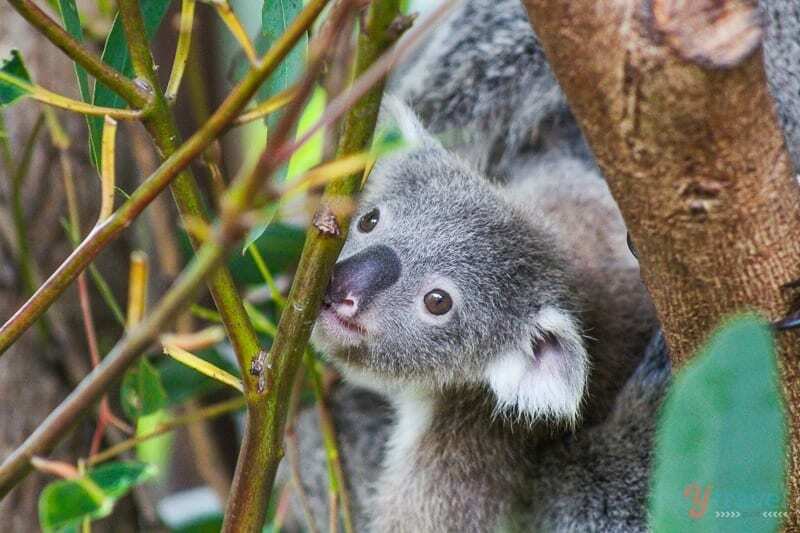 Doped out koalas can be ferocious fighters and we don’t call them boxing kangaroos for nothing. Even those rarely sighted cassowaries can slice you from head to toe with one kick. And then there are the drop bears. Too traumatic to write about. All I can say is just don’t let them stop you from visiting Australia. You’ll regret it. Trauma as a result of tick bite fever in Africa. Yep. With all THEIR dangerous man eating animals, a little tick I never saw took me down and made me think I was going to die. I’m still glad I went to Africa because it was AWESOME and full of beautiful memories and adventurous stories to share. 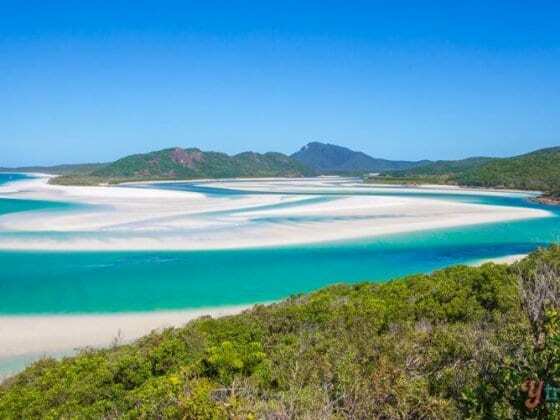 A very important note to add here, as I am sure many people will only read the first part of this post and jump to the comments to lay out their best insults as to how I am fear mongering and RUINING tourism in Australia. J.O.K.I.N.G. Being facetious. Messing around, You get it. 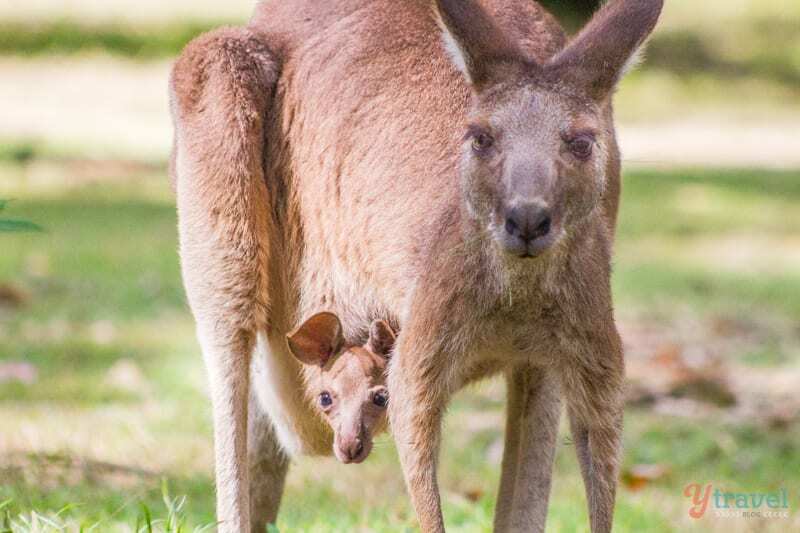 I’m actually writing this post to help improve tourism in Australia because you have no idea how many people are not visiting our beautiful country because of all of our animals lining up at the arrivals hall waiting to Take. Them. Down. You’ve heard about our strict quarantine and immigration laws and procedures. Saving on the cost of manpower by bringing out the deadlies to sting, bite or maul anyone who does get through quarantine and immigration. We’ve seen the population crisis the rest of the world is having. We want to keep our extremely large island to continue to have one of the world’s smallest populations. 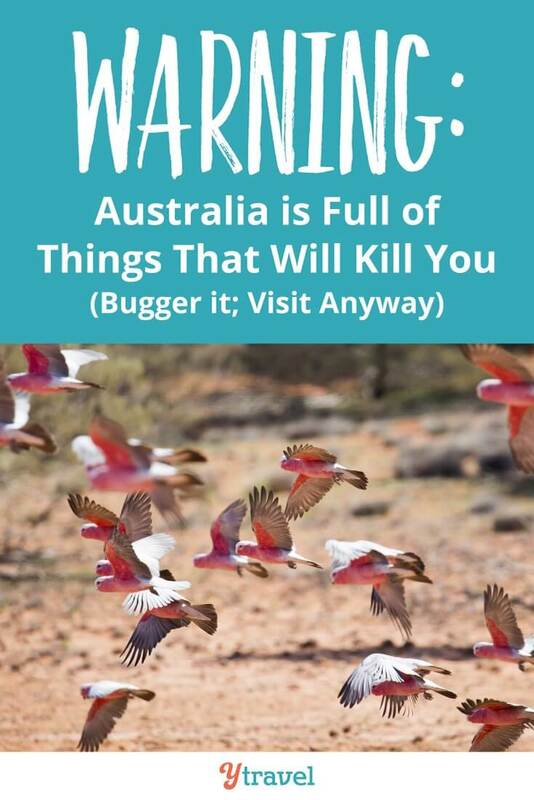 Except in terms of bird life because our country is overrun with galahs, cockatoos and lorikeets so loud at sunset you can’t hear the person talking beside you! Oh I forgot about the magpies!! 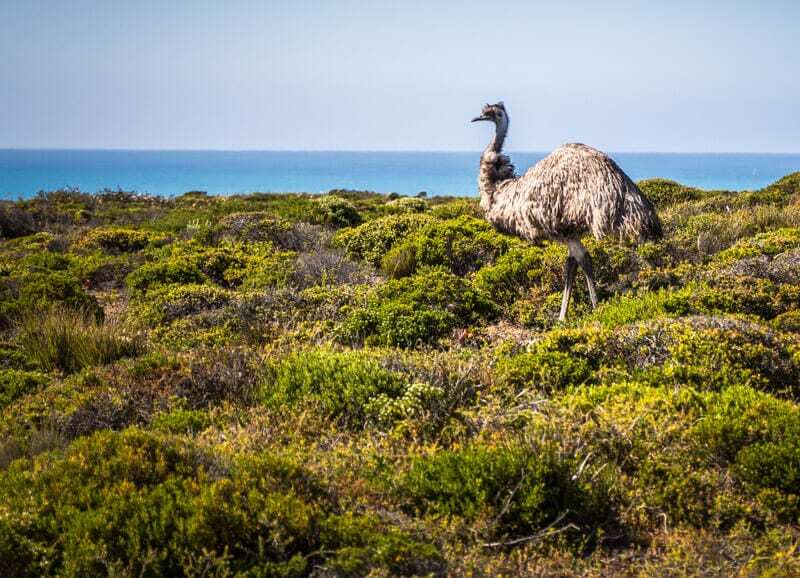 Australia’s most feared bird. Just wear a helmet when walking through parks as they like to swoop at your head and pluck your hairs for their nest. Be sure to cover your eyes and you’ll be fine. 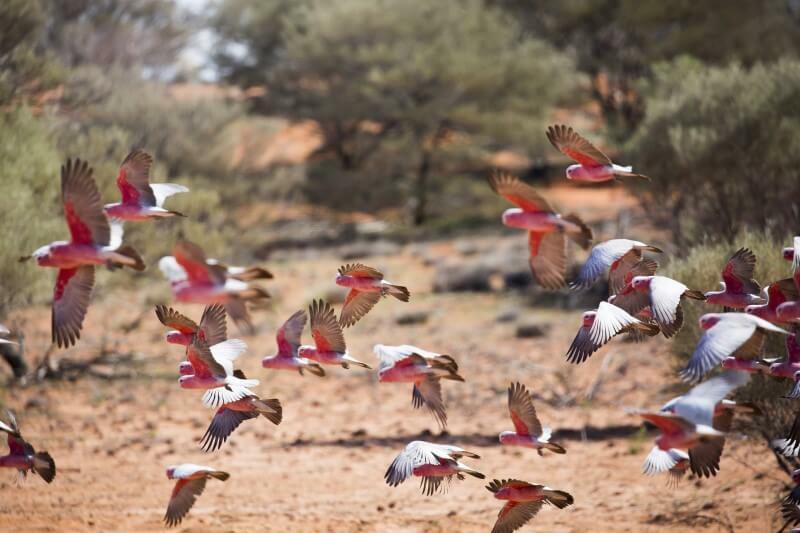 We were chased by a few birds on our road trip around Australia protecting their babies (as I tried to protect mine). It gave us loads of giggles. You really want to miss out on this? 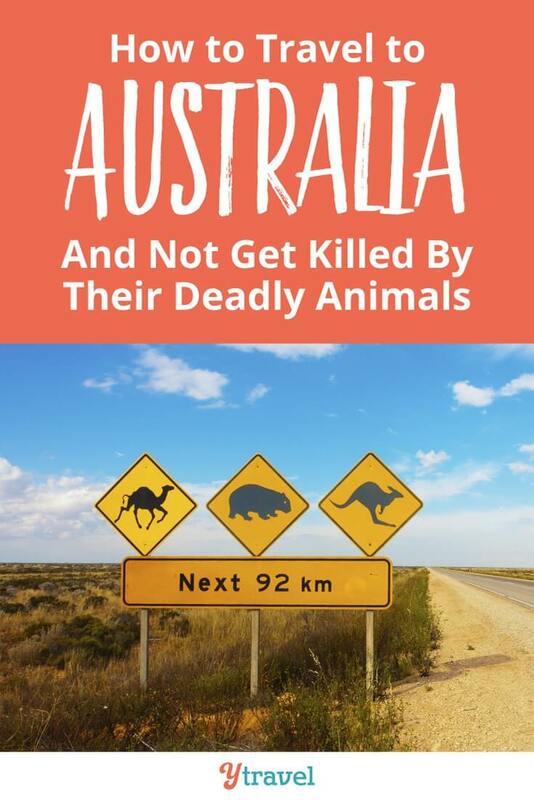 I always knew Australia had the reputation as being a dangerous place with all our deadly animals. 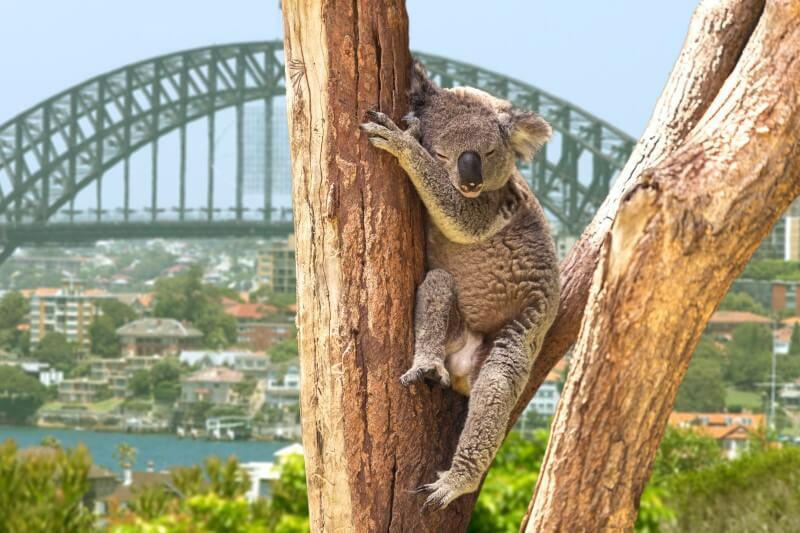 But, what has surprised me so much about living in America is the number of Americans who say it’s one reason they don’t want to travel to Australia. Now, no insults please. It’s perfectly understandable. I am terrified of bears and the thought has crossed my mind several times not to travel to grizzly bear territory. I think our deadliest animals are easier to manage and stay away from than a pissed off grizzly bear you may just happen to stumble across. Seriously it’s the second, if not, first biggest reason. It’s crazy and it means Australia has some work to do to share the truth! 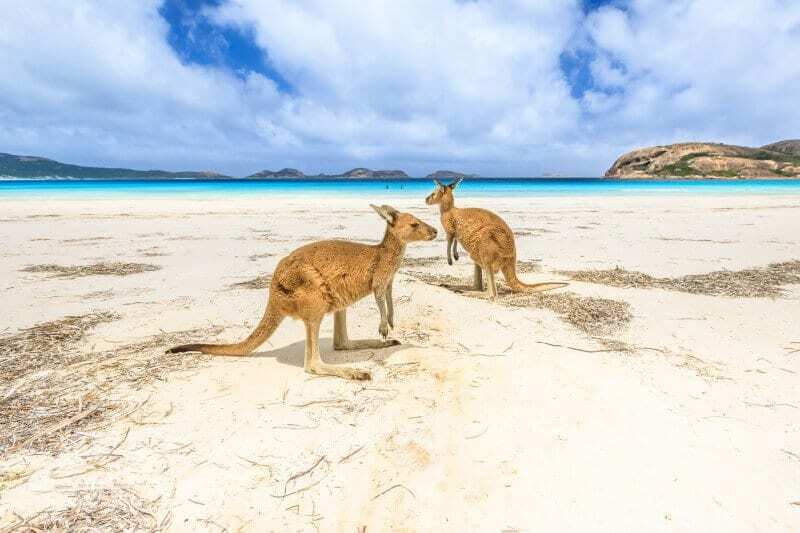 Americans have enough desire to travel to Australia, but they won’t visit until these first two problems are solved (as well as the high cost of travel in Australia AND their lack of vacation time). 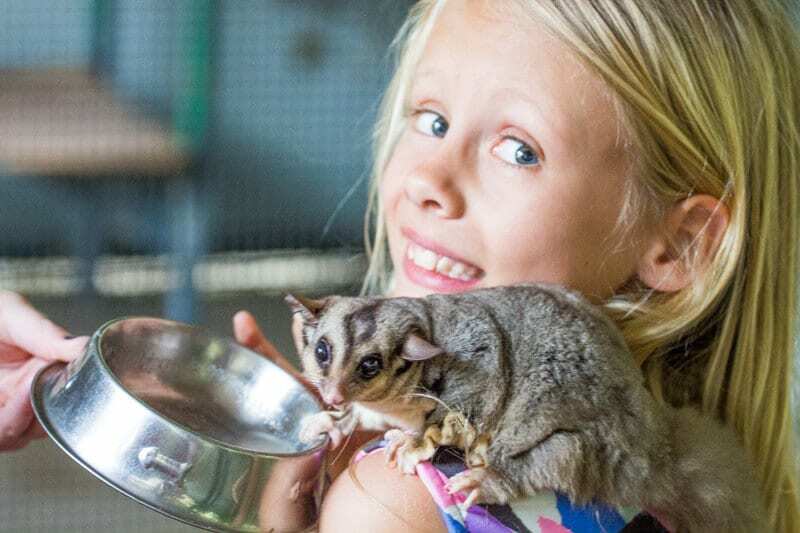 For our American friends, I would HATE for you to miss out on my beautiful, exotic, adventurous, friendly country because of the fear of our animals. Bears, mountain lions, snakes that are better at killing you, sharks (ah yes Jaws! We recently saw a great white shark warning on the beach at Martha’s Vineyard), alligators, buffaloes, moose, and did I mention Grizzly Bears? I’m sure, like me you’ve never really worried about all the deadlies surrounding you, you just know they were part of your environment and learned how to get along with them. Although I will tell you I am terrified of crocodiles. 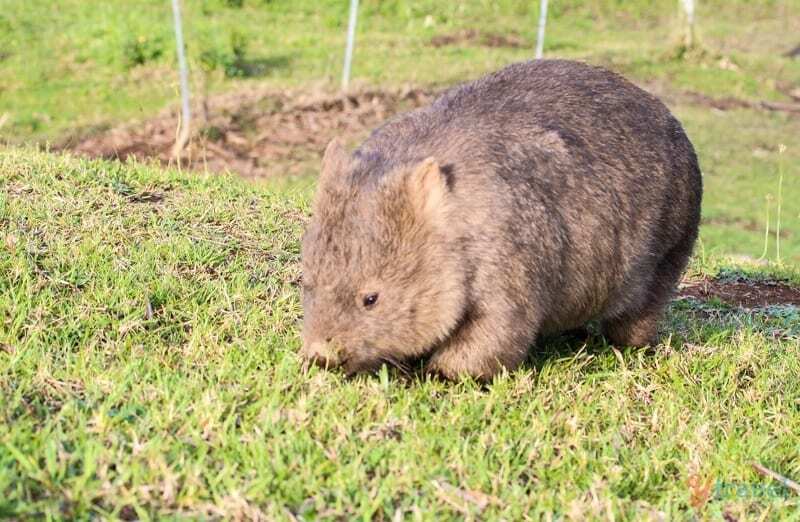 They’re the only Australian animal that has almost gotten in the way of my travels. But I learned a very simple way to protect myself. Know where they live and under no circumstances go in the water or near the water’s edge. Oh okay and sharks. I’ve always been bothered by them since watching Jaws. But it doesn’t stop me from swimming in the ocean. Learn Mick Fanning’s boxing technique to defeat a Great White. That’s how we do it Down Under. Just look at those above stories I get to share. I’ve lived and traveled through the remote areas where the deadliest of deadlies are and not one bite. 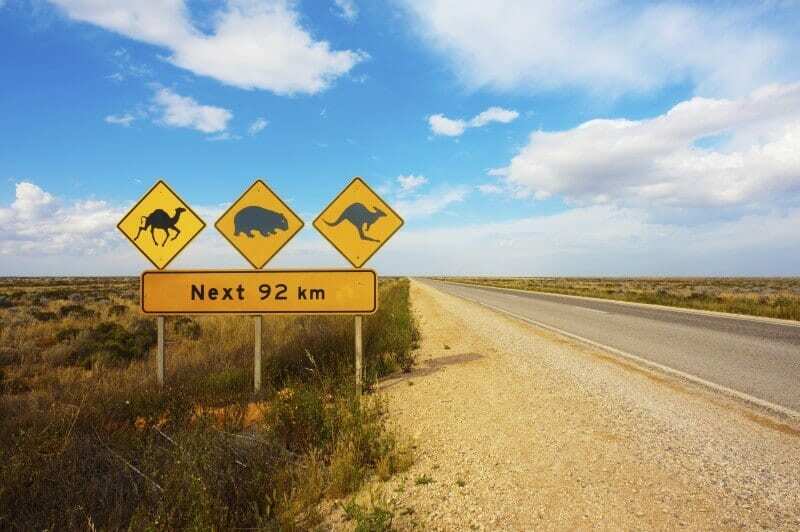 Australians are quite proud of the fact that the top 10 most deadly animals call the Great South Land home. Just look how awesomely fierce we are! 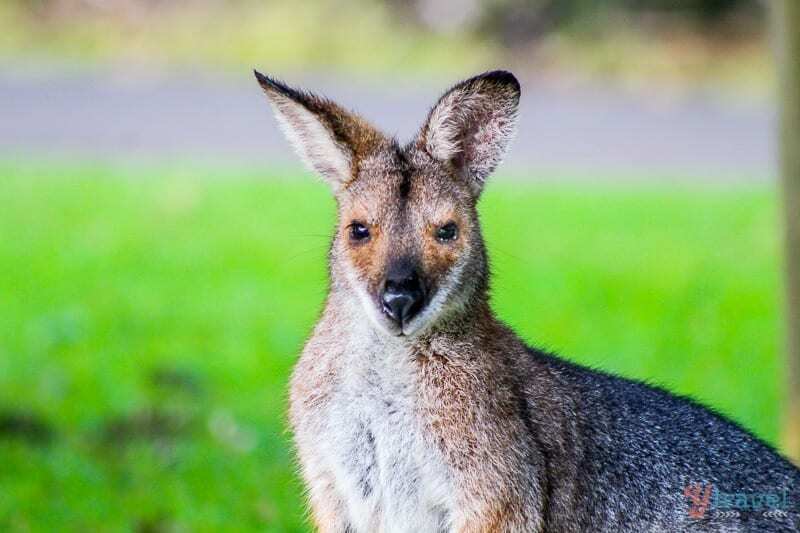 Australia’s dangerous animals kill about five people each year. We’re all bark no bite! You actually have more chance of being killed by a horse or drowning. Yep. 300 people drown a year in comparison! Nobody in Australia has died from a spider bite since 1979 after the successful introduction of antivenom for all native species. A study in 2013 (the earliest stats I could find) by Charles Darwin University found that since 1971, there were about 2.8 attacks per year over of which only 0.6% were fatal. 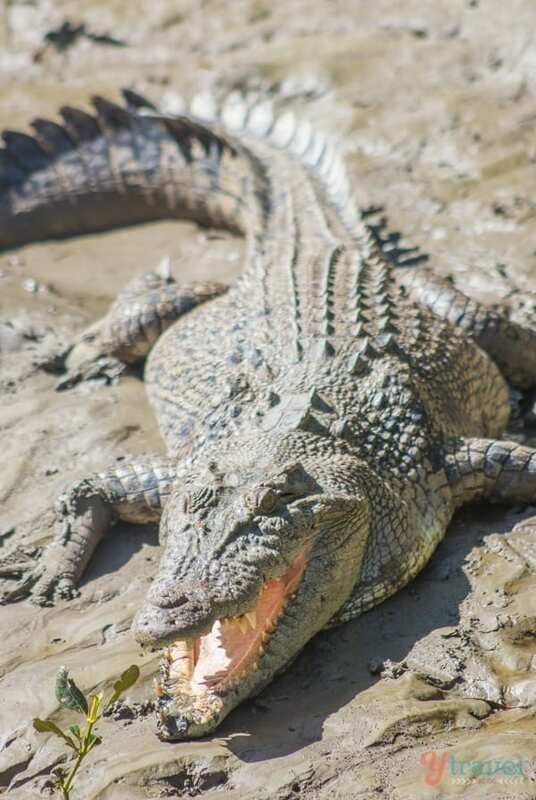 Australia has the highest density of saltwater crocs in the world, so those stats are pretty outstanding and prove we’re not that scary and we have great crocodile management programs in place! In fact, statistics will show that more people are killed by vending machines falling on top of them than a crocodile attack. Damn those machines that entrap my packet of chips. I just want to shake them until they give it back to me. Most crocodile victims are found to have alcohol in their system and were playing Hero Games with their drunk buddies. $10!!! Are you kidding me? What’s in that alcohol to make you think that’s a good deal? Never mind the crocs, it’s what’s in Australia’s alcohol you need to be concerned with. Wahoo. 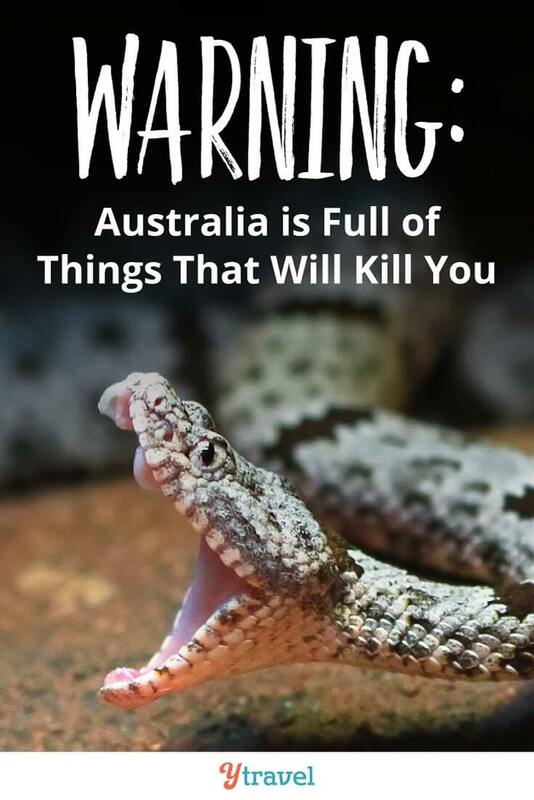 Yes we have 8 of the most deadliest snakes in Australia. 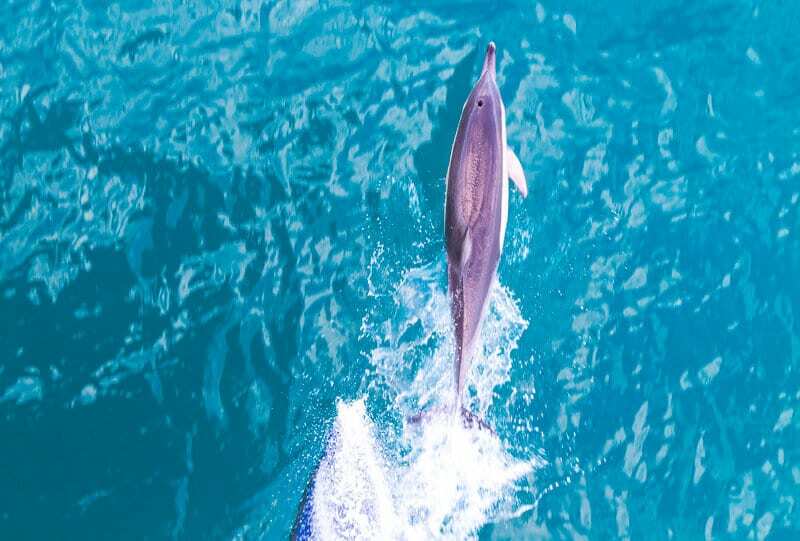 Here are a few things we learned traveling around the country and speaking with rangers in educational facilities. 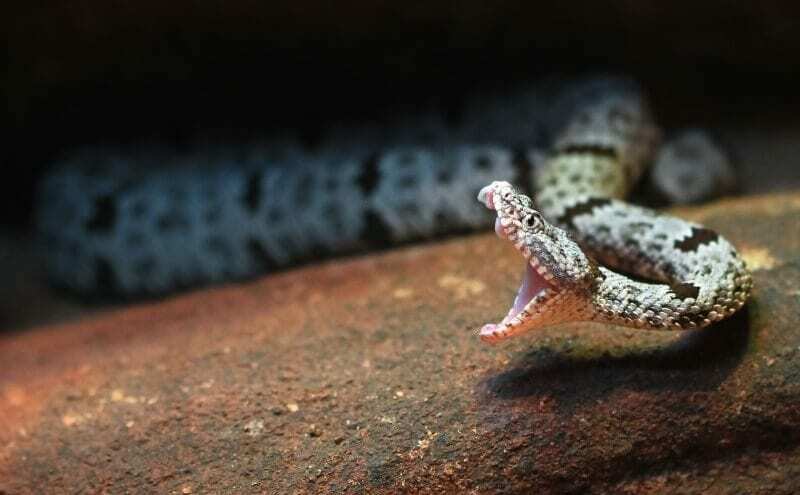 Aussie snake venom is super poisonous BUT the fangs of our snakes are very small, unlike other countries (like yours) whose snakes have large fangs. This means the chances of our small fangs injecting far enough into the skin to do some real damage are slim. That’s why we recommend wearing boots, thick socks and long pants when out in the bush. That hard protection saves a lot of people. It takes a lot of energy for a snake to inject venom. It tires them out so much that often they’ll bite as a warning and not release the venom. If you are bitten and remain still and apply the right first aid the venom will travel slow enough to give you time to get the antivenom you need to save you. Don’t fear the snake. They are beautiful animals. 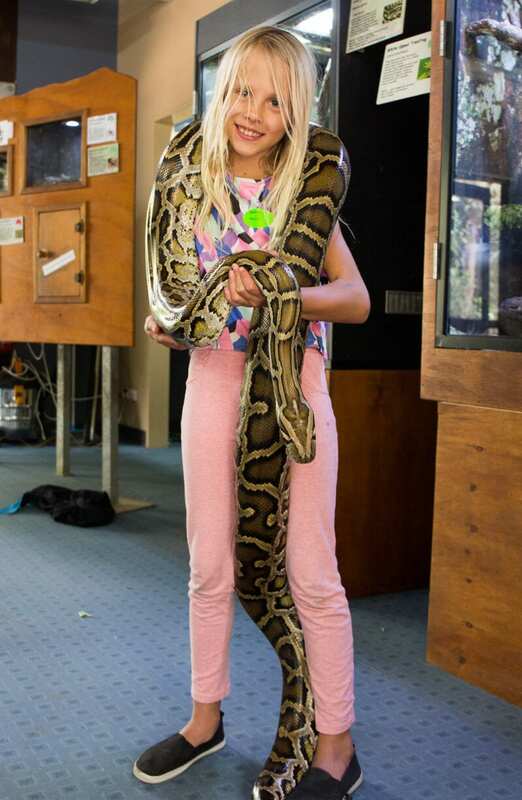 I love to hold them and wrap them around mine and my children’s necks – pythons that is. Don’t play with the other ones. I promise you, it is rare to see snakes. We traveled around Australia for 18 months and have explored it deeply in many ways and I think I’ve only seen about 5 snakes in the wild and never one brown! Btw, Kalyra did that just yesterday in our house in Raleigh in regards to the invading spiders. See they are everywhere!! We have Daddy long legs, the most venomous spider in the world. Don’t worry, they are completely harmless as their fangs are way t0o tiny to hurt you! But their prey better get out of the way. Red backs like to hide in your shoes, in old tires and under tables and playground equipment. Always check your shoes before putting them on in Australia and perhaps don’t leave them outside. Funnel Webs are exactly what you picture when you think of scary, deadly spiders. Black, large and hairy! The females are 10x more deadly than the males! I have never seen one in the wild. Except for the legs of that one in the video above. But, truly you don’t have to worry about them. No deaths since 1979 remember. And they are rare to see. They are in the northern (Top End) of the country. Be careful of the beaches in the top end as well, as the crocs can sometimes be swimming near there, especially if an estuary is close by. We saw croc tracks in the mangroves right near one of the beaches in the Daintree. Ocean attacks are rare, but I don’t take any chances with the crocs. Keep away from the river banks as well. 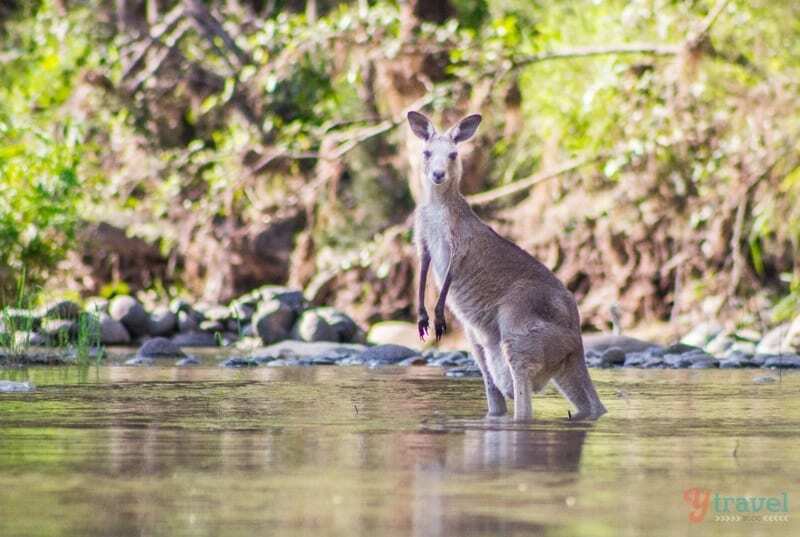 Those cunning hunters, will see you way before you see them and will leap right out of that water and snap you from the river bank. Craig and I nearly had heart failure one day watching a man throw rocks into the river with his little boy on the river bank, only twenty metres away from the jetty where you boarded for the croc watching tours. 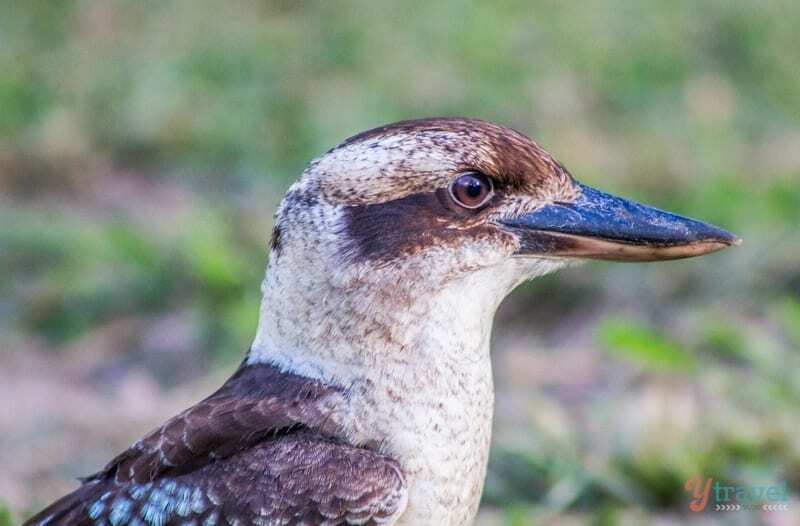 There are plenty of beautiful watering holes in the Top End. They look perfect for swimming and you may be so hot that you can’t resist. Resist, unless it is clearly marked safe for swimming. Always ask a ranger or a local. 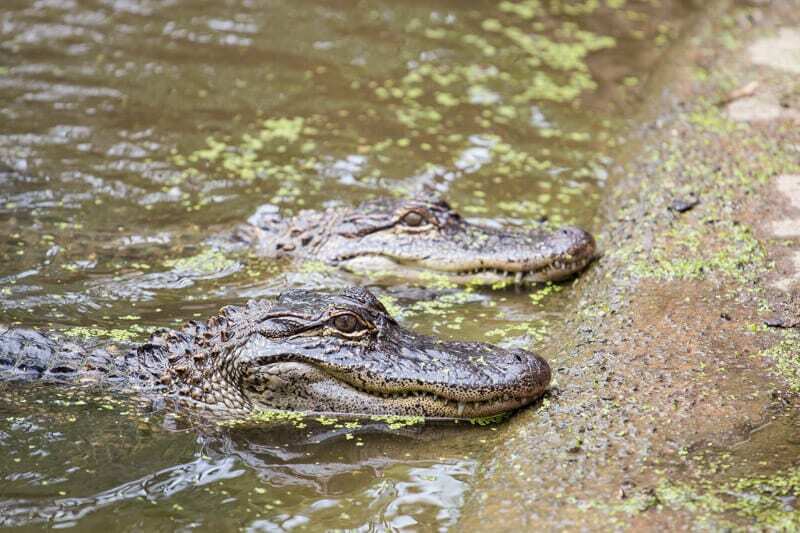 The Top End also has freshwater crocodiles which are so cute and pretty much harmless. I’ve swam in places where they are before. Again ask the locals. But as long as you stay away from them (they are very shy) they will leave you alone. The only rare attacks that have happened are because of the idiots that have cornered them and provoked them. 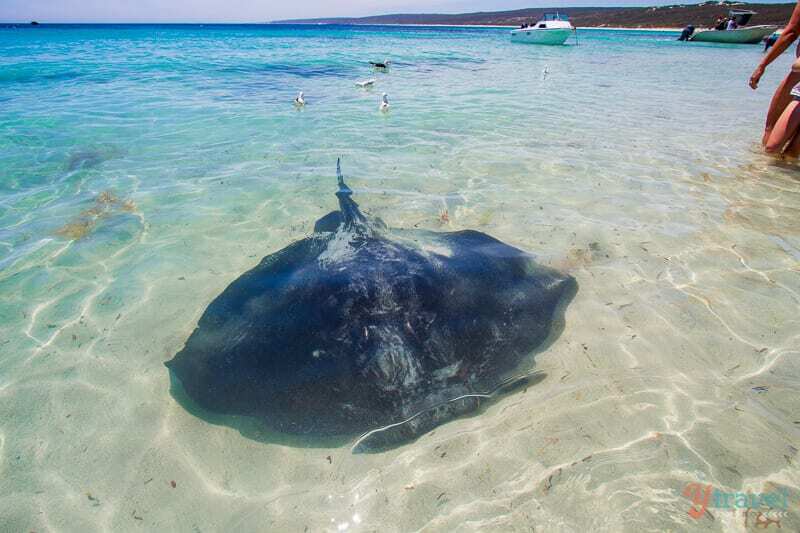 These ocean critters come out in the warm summer months when the ocean water around the 30 degree temperatures. This makes for a nuisance when you visit the Top End, which is where they live. I don’t recommend you visit the Top End during the summer anyway because of this and because it is very hot and wet. Pay attention to the signs on our beaches. They will warn you of any dangers, especially stingers! If you do visit places like Cairns, at this time of the year, you will be given stinger suits when you dive or snorkel the Great Barrier Reef. These will keep you protected. 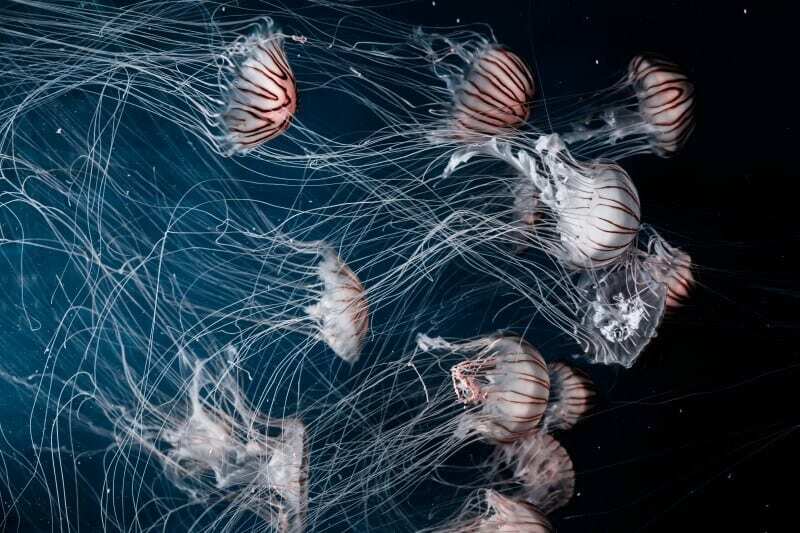 Jellyfish account for (at time of writing) 66 deaths since records began in 1883. The box jellyfish was responsible for 64 deaths, and the Irukandji the other two. It sounds a lot, but still less than one death per year, more like just half a death per year. I’ve swam in beaches all around the country, and have rarely had a shark incident. I think I’ve only ever been pulled out of the water once. 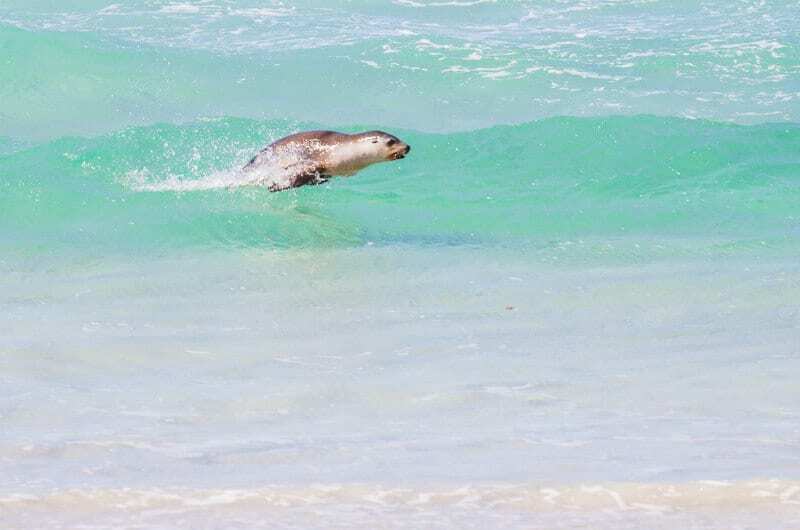 Kalyra was having a surfing lesson and the lifeguards spotted a suspicious animal. They had us out of the water super fast. Yes. Shark attacks happen. But they don’t happen as often as you think. Try not to look like a seal and don’t swim at dawn or dusk. Good news is our lifeguards are awesome at keeping you safe. Just listen to them! Rip tides are more dangerous than sharks in our beaches. If you are not a strong swimmer then stay close to shore, ask a local if there are any rips to be aware of, and always swim between the flags. This is the area that is monitored by the lifeguards and generally have the safest water conditions. If you are a surfer though, you won’t be allowed here. But I’m sure you already know a lot about water safety, and aren’t scared of sharks, so this post is probably not for you. I know you want that selfie with the kangaroo, but get in his space and he may just bop you one. Do you blame him? I’d want to do the same if someone was harassing me just for a few likes on social media. 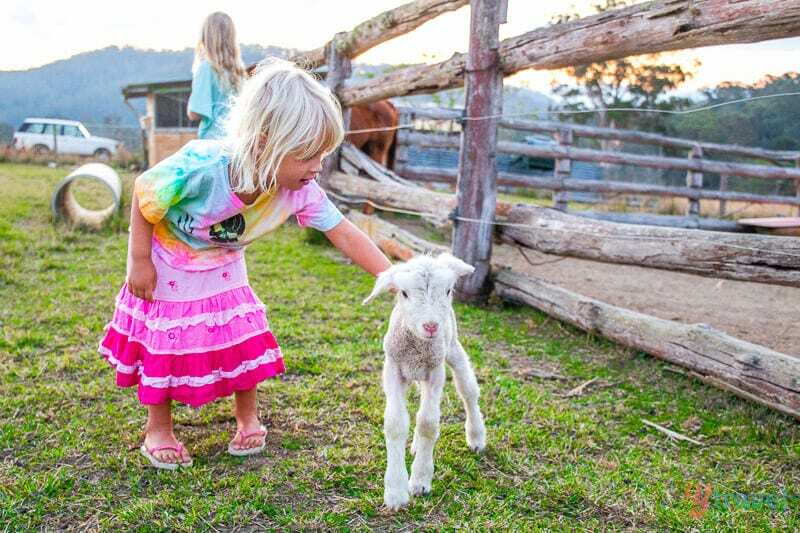 There are plenty of animal sanctuaries in Australia where you can feed kangaroos and cuddle koalas. These are all safe places to do so. The animals are closely monitored and protected by the rangers. They will also protect you! You both scream and grab onto each other running out the door deciding that perhaps a bush wee was preferable to sitting on the toilet, despite that fact hat that green tree frog is probably hiding from its predator in the toilet. Or, that time you walked into the campground toilet early in the morning to see this little head poking up behind the cistern, only to realize upon close inspection that it was a small snakes head. You slowly back away and hold onto the evening’s wee for a bit longer. We now have our own bathroom in our new travel trailer in the US to help us with these issues. Enough. I’m scaring you again aren’t I? But see how easily walked away unscathed. You couldn’t do that with a grizzly bear! Our deadlies are small wimps! We traveled for 18 months around the country, in a very open (and small) travel trailer and were not attacked by any animals. Despite all these fears I had about our road trip, I still went and it was the best experience of my life. The memories are priceless, and as a result, I can say, there is no better country in the world to travel to. 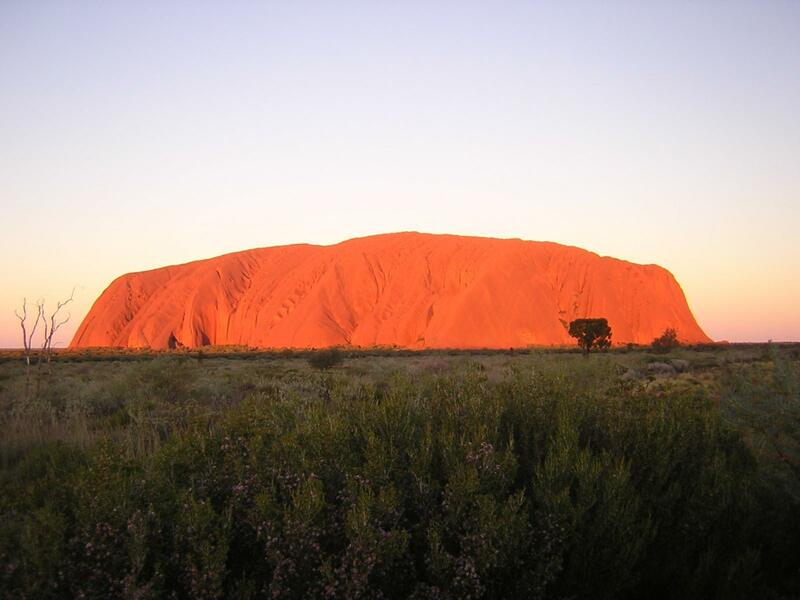 Australia is stunning and exotic, wild and spacious, and filled with transformative experiences. I’ve never met an American yet who has regretted their decision to overcome their fears and obstacles to travel to our Great South Land. So don’t worry about our deadlies. You’re safe with them. 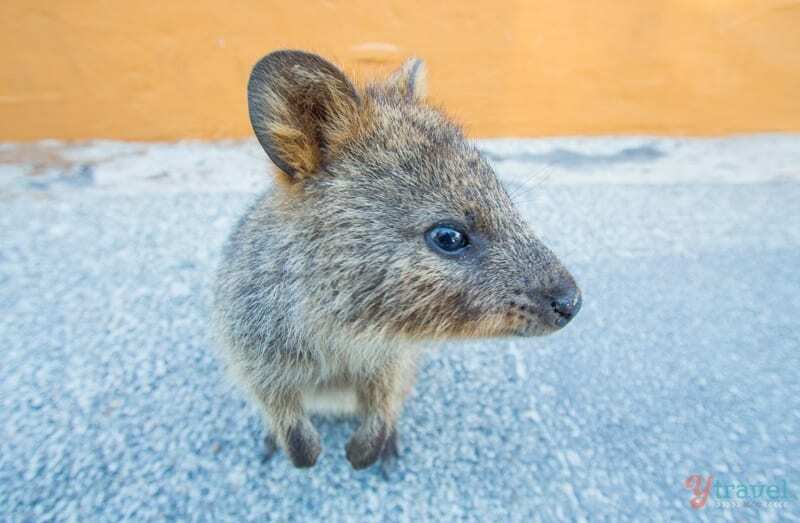 Come on over to Australia. That long flight will be worth it. You can sleep, drink nd binge movie watch. 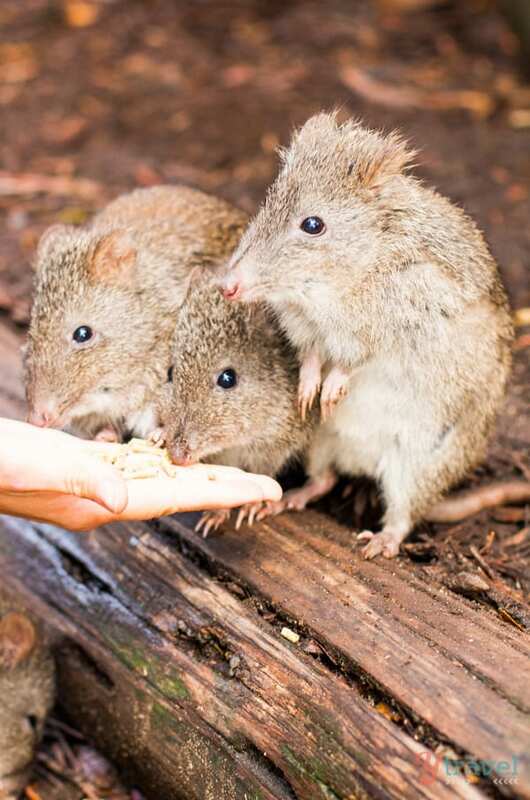 Let me close out this post with a few reminders of how wonderfully cute our Australian animals are. It’s so worth coming here to see as many of them you won’t see them in any other country! They are delightfully ours. 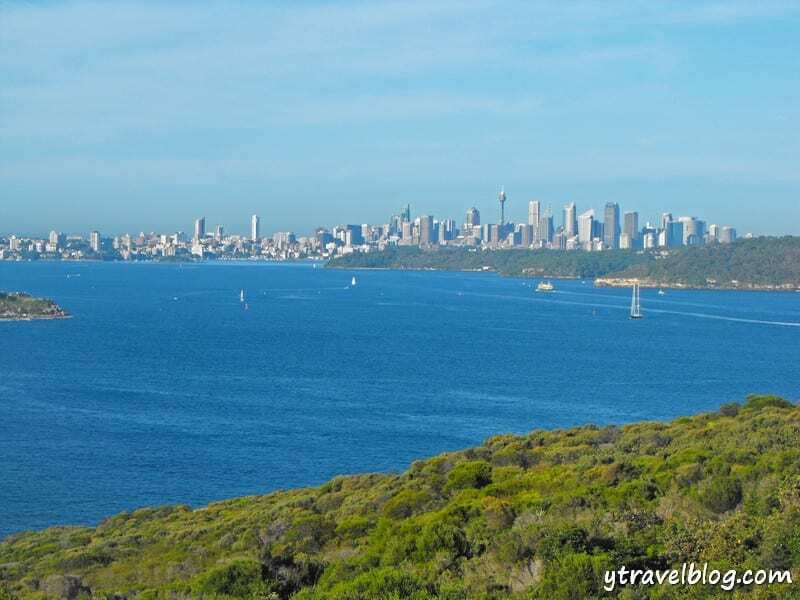 At the bottom of these photos, you’ll also see links to posts to help you plan your Australian travel. 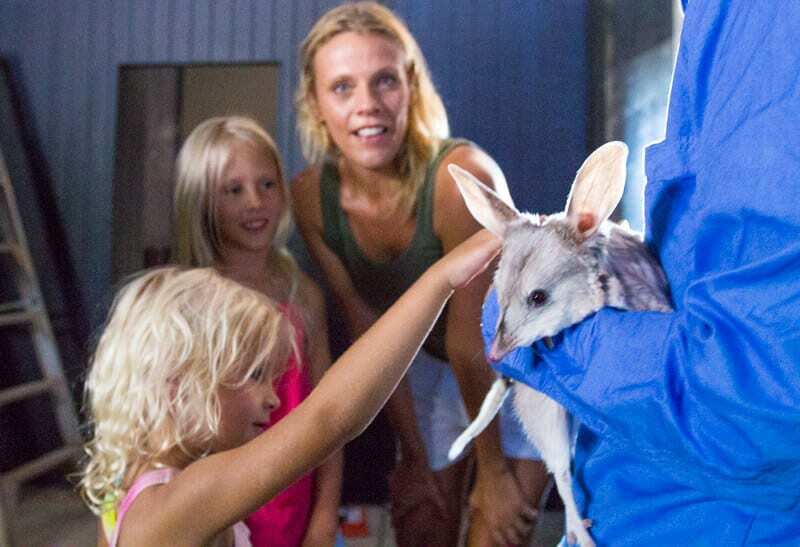 Are you afraid of Australia’s deadly animals? Do you think you’ll still visit anyway? Or is there something else really holding you back? I love Australia! I only visited for 2 weeks and we stayed mostly in towns and even though I’m terrified of some insects, mainly moths and big hairy spiders, I haven’t spotted any in Australia. Truth be told, my friends were attacked by a shark while kayaking.. Yikes. Haha. Those koalas can be pretty scary if in a bad mood! I’m so happy you experienced a safe Australia. Too bad for your friends. I am guessing they are okay? You don’t often hear about kayakers getting attacked, although I know it has a few times. It’s mostly surfers as they look like seals. Caz this is my favourite blog by you – I have read it about 10 times! What a fantastic, very funny read. I am from Queensland and completely related to everything. Especially crocs. 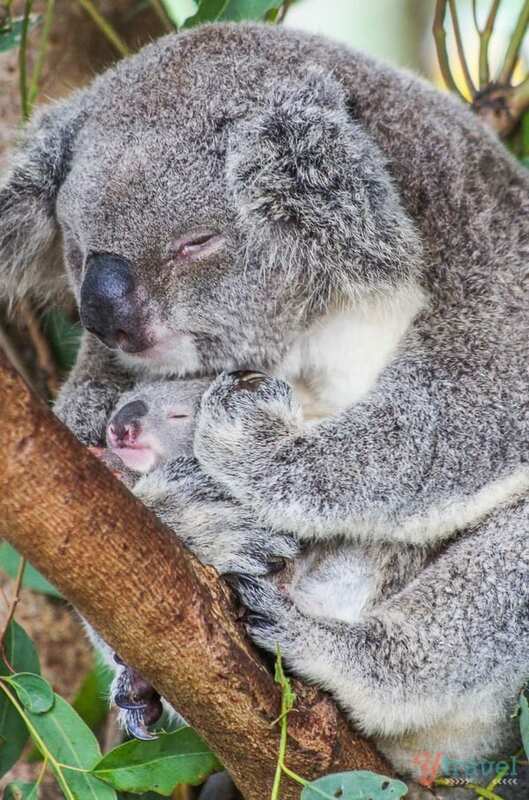 It is so hard to explain to someone that although we have so many dangerous animals, Australia isn’t a dangerous place and here you have done this beautifully. Well done! Oh thank you Jane!! That makes me so happy to hear. I had so much fun writing it and I wondered if people would get my humour!! Thank you for letting me know! Thanks for sharing. 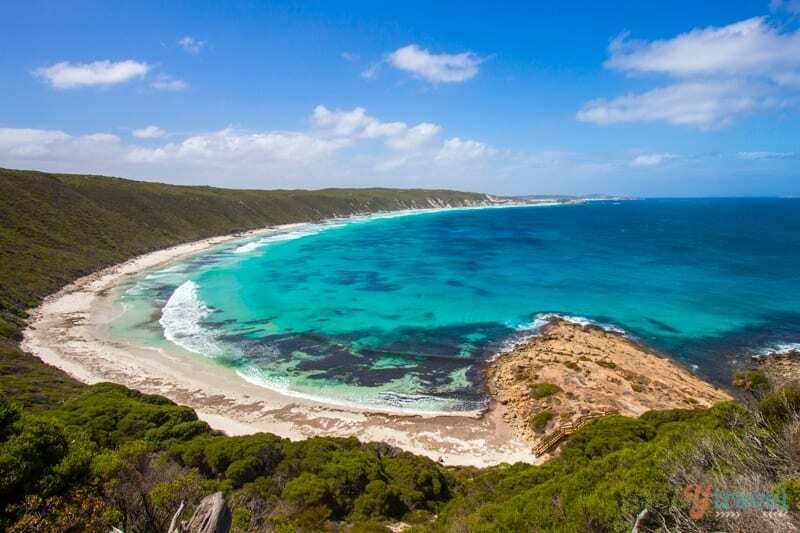 I’m planning a vacation to Australia with my girlfriend, so I read the article while being both amused and scared to death at the same time. I really wanna go so I probably won’t be sharing the article with her 🙂 Even though the story about your friend and the huntsman spider went will it will most likely be hunting my dreams.